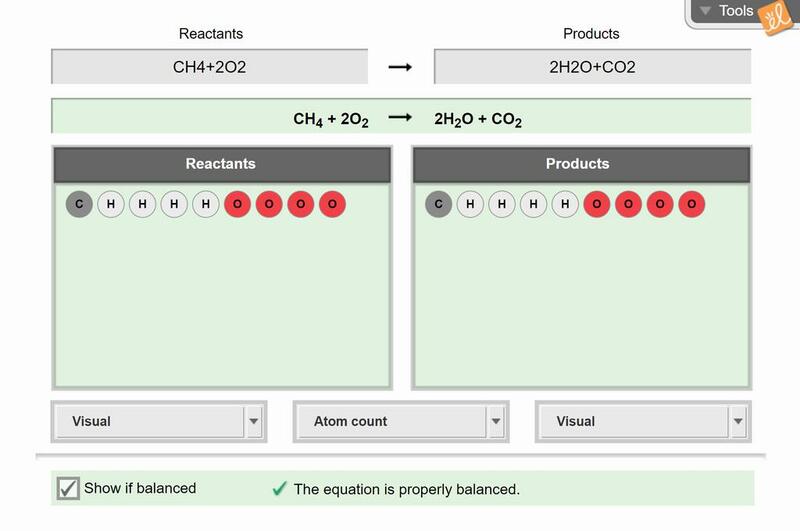 Practice balancing chemical equations by changing the coefficients of reactants and products. As the equation is manipulated, the amount of each element is shown as individual atoms, histograms, or numerically. Molar masses of reactants and products can also be calculated and balanced to demonstrate conservation of mass. A Gizmo on building molecules from atoms similar to: PhET's Build a Molecucle would be very useful! Chemical equations was awesome ,it gives my chemistry students a clearer picture of the concept. I use this every year to teach my students about chemical equations. Its grrrrrrrreat! This Gizmo helped students learn how to balance equations. It helped them see that the same atoms were on both sides.